Crafted from FSC wood and water painted in soft colours, the Push Along Bear will delight and entertain the littlies. 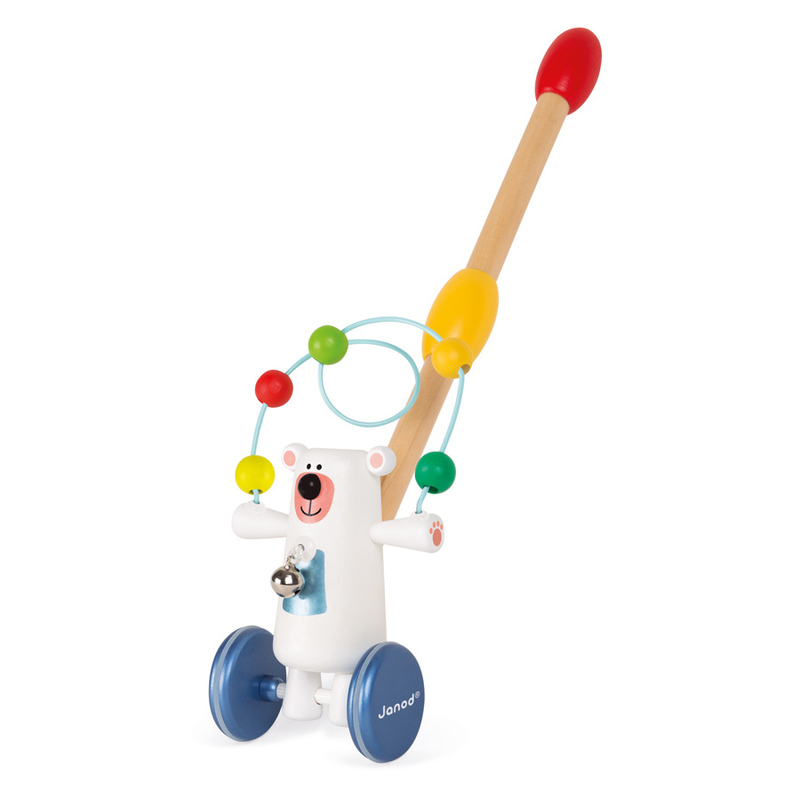 Looking very much like an acrobatic juggling bear he has a looping game that runs from one hand to the other with a coloured cable and 5 wooden balls. 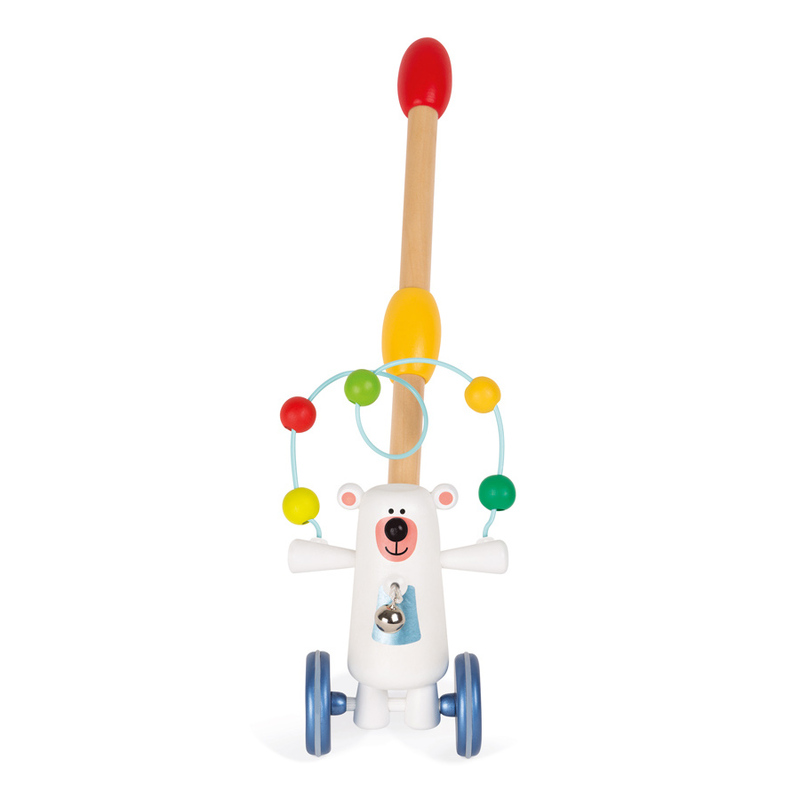 Push him gently along on wheels that have a rubber gripper to give a smooth ride and hear his gently tinkling bell.